Double ASA Certification, Certified General Appraisal License in several states and 35+ years of experience. John R. Harris holds a Certified General Appraisal License in several states and has over 30 years of experience. He holds a Master of Business Administration degree and has owned several successful businesses. He has operated both nationally and internationally in appraisal and brokerage and has been a member of the World Trade Center having performed appraisal and consulting services for the Mexican and Venezuelan governments in Central and South America. 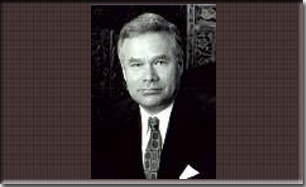 He has also served as a consultant for large U.S. entities including Ford Motor Company, General Motors, General Electric, International Dairy Queen, Pizza Hut Corporation, U.S. Air Force, Boeing, Cessna Aircraft, U.S. Navy, and Federal Deposit Insurance Corporation (FDIC). Currently, Mr. Harris teaches appraisal technique in Business, Real Estate, and Machinery/Equipment for several national organizations. He serves nationally as an arbitrator in business disputes for the American Arbitration Association, New York City. He is a member and contributing guest speaker to the International Business Brokers Association (IBBA), the California Association of Business Brokers (CABB), the Institute of Certified Business Counselors (ICBC). As a member of ICBC, he is one of only a few individuals to hold the MCBC designation indicating Master Certified Business Counselor. John Harris served as the Director of the NEBB Institute from inception until 2014. As the Director, he has trained well over 1000 appraisers in 45 states, Canada, Puerto Rico, Australia, Ireland, Norway, Saudi Arabia and Singapore. 1. Tested and certified Senior Member of the American Society of Appraisers in the field of Machinery and Technical Specialties, and is authorized to use the professional designation ASA, indicating Accredited Senior Appraiser. 2. Holds additional ASA designation in the field of Real Estate Appraisal. 3. Licensed real estate broker in Kansas and Oklahoma. 4. Holds the BAE Professional designation indicating Business Appraisal Expert, as endorsed by Northern Michigan University. 5. Has been approved as an instructor for the Kansas Real Estate Commission to teach continuing education courses on the subject of Business Sales and Evaluation. 6. Frequent guest speaker to CPAs, attorneys and other business groups. 7. Regular contributing author to various industry trade journals and newsletters in the brokerage and appraisal industries. 8. Graduate of Loyola University School of Business Administration Executive Education Programs for Certified Merger & Acquisition Advisors. 9. Personally sold in a brokerage capacity over 400 businesses. 10. Provides expert court testimony at the District and Federal Court levels when called upon to do so. 11. Approved and Registered by: Corps of Engineers, U.S. Army, Federal Deposit Insurance Corporation, General Services Administration, U.S. Government, Internal Revenue Service.